Home / WoodPellets.com / What Kind of Weather Will This Winter Bring? What Kind of Weather Will This Winter Bring? 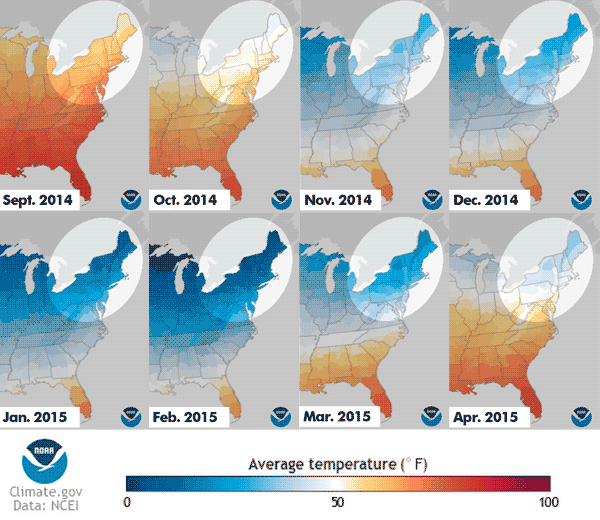 The 2014-15 heating season in the Northeast started pretty mild – with temperatures in September averaging around 50 degrees (F). January and February temperatures plummeted, and the snow accumulation broke records in many places. Most stoves weren’t switched off for the season until well into May. But what will this winter bring for the Northeast? More bitter temperatures? More debilitating snow levels? Unfortunately, the Old Farmers Almanac is predicting above-normal snow and below-normal temperatures for much of New England. What was last winter like for you? Did you have enough fuel, or did you have some left over? Make sure you order soon if you haven’t already – because preparedness is the best defense against tough weather. Give us a call at 1-800-735-5387 to order today – or buy your wood pellets online.